This week, famed New Orleans chef and restaurateur John Besh announced an exciting new scholarship aimed at providing minorities in the New Orleans area with a culinary scholarship. Partnering with Jessica Bride and Nick Mayor, the John Besh & Bride Mayor Scholarship will be awarded to someone from New Orleans with aptitude in the kitchen but in need of financial assistance to realize their dream, allowing them to study in a career program at The French Culinary Institute in New York City and return to New Orleans to work for eight weeks as a paid intern at one of the restaurants in the John Besh Restaurant Group. The scholarship recipient will also be mentored by someone within the restaurant group for a full year in order to give the recipient the network and support they need to take full advantage of the opportunity. While studying in New York City, four special experiences will be tailored for the recipient to expand their knowledge of the culinary field and increase their connections with some of the industries top professionals. You can download an application for the scholarship online. Read more about John Besh and the new scholarship on YourLife.USAToday.com. Roger Gural was born and raised on Staten Island, New York. What started out as a hobby eventually transformed into a professional bread baking career. 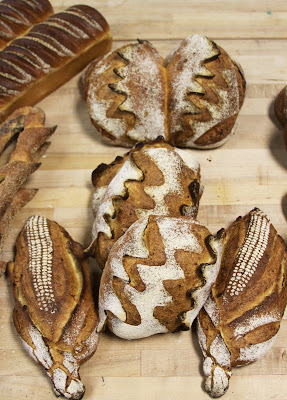 He began by experimenting with pizza dough, and then moved on to artisan breads after he enrolled in the six-week bread course at The FCI. The pizza bread baking resulted from a case of supply and demand: "One night, I was coming home from work, and I had planned on making pizza, but the market was out of dough. So, I made it myself. It wasn’t very good, so I did some research to figure out why, and from there I started to make my own pizza dough." It wasn't very long after experimenting with pizza dough that his hobby led him to the SoHo location of the school, and then on to working full-time as a baker for several world-class chefs. The French Culinary Institute is familiar with career changers in their student body, and Roger is one of them. He worked in the recording industry and television before switching over to bread baking, but when he started classes, he wasn't even thinking about a career in bread baking. So, how did Roger go from amateur baker to becoming one of the best? 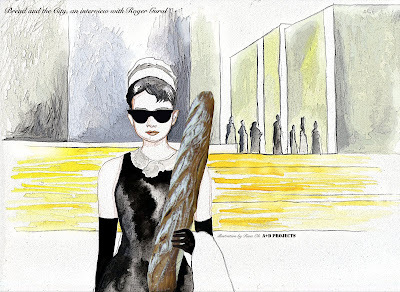 "My first job was at Bouley Bakery. 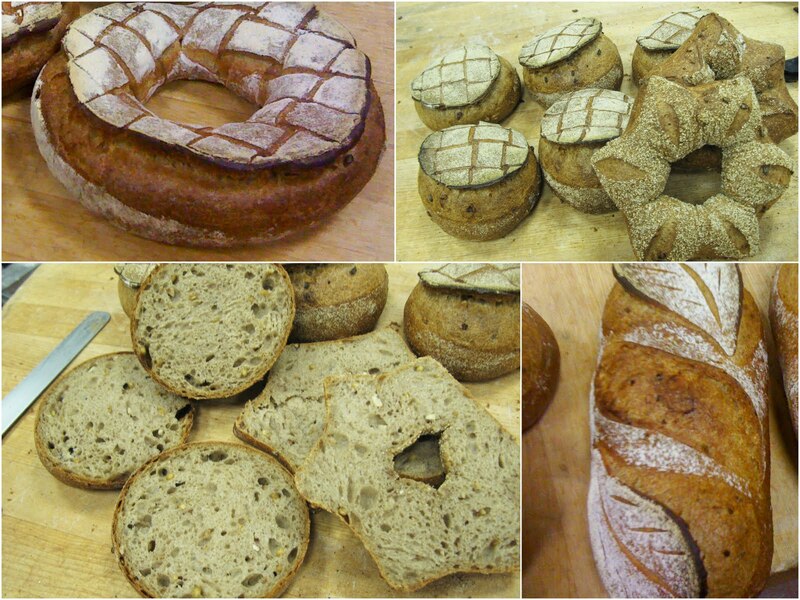 When I was a student at The FCI, Chef David Bouley came through the school and toured the bread kitchen. [While there, he] mentioned to my instructor David Norman that he was looking for a baker. David encouraged me to go trail. I actually had to trail twice because I think the head baker at Bouley wasn’t too convinced, but thankfully after the second night he offered me the job. I was really lucky, because he was an incredible baker and role model. I immediately had an understanding about how much work goes into learning the craft. Later on he helped me find some places to work in France, so I am just so indebted to his generosity. He really helped introduce me to a network of super talented bakers who feel a professional responsibility to share their knowledge. After working at Bouley, I worked at Amy’s Bread, and from there [I went] to France. 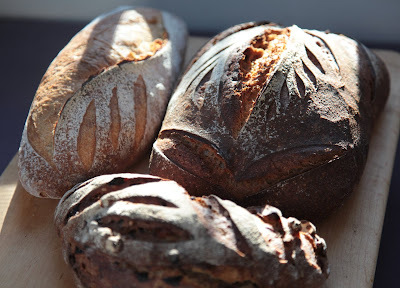 It was several years later when a pastry chef who had worked at The French Laundry tasted my breads and suggested that I should go work there. At that moment it wasn’t the right time, but a while later, I saw they were looking for a head baker, and I thought maybe I should go for it. After a tryout in New York City and one in Napa, California, I was offered the job." And most recently, in 2009, Roger went on to compete in the prestigious Mondial du Pain (the same convention as the Bocuse d’Or), which took place in Lyon, France, representing the United States. "It was through having worked for Chef Keller that I was asked to participate in the Mondial," he says. Competitors traveled to Lyon from all around the world and stayed for two weeks to compete. "We had to make baguettes, decorative baguettes, rolls, a health and nutrition bread, a bread representing our country, sandwiches, four different types of breakfast pastries, and a bread sculpture." Roger and his colleagues were given the chance to practice their skills in a bakery (run by the Pozzoli family). "The hospitality we received there was probably the highlight of the trip. They were incredibly generous and supportive," he says. By the end of the event, Roger was exhausted. After the event, Roger enjoyed dinner with Chef Alain Sailhac (executive vice president and dean emeritus at The FCI) and his wife, Arlene, at the famed Léon de Lyon, a three-Michelin star restaurant, owned and operated by Chef Jean-Paul Lacombe. This dinner was an occasion Roger would always remember as a highlight. Part of the significance of the dinner was that it commemorated an end to the long labor-filled hours of the event and also that it was a finishing marker to the passion for learning something he loved that had brought him to this extraordinary experience of competing in the first place. This recipe is a favorite of my six-year-old son. The dough is very wet. 1. Place dried pears in a bowl; add enough wine to cover pears. Let stand 30 minutes. Drain off soaking liquid; reserve. 2. Place flours in the bowl of an electric mixer fitted with the dough hook; add vanilla bean; mix well on level one; gradually add water with motor running; mix to combine;remove bowl from mixer; cover. Let stand 30 minutes. 3. Add the salt and yeast. Return to the mixer, and mix on level one 5 minutes; increase speed to level 2; mix 3 minutes. Add pears, and mix on level one for 45 seconds. 4. Place dough in a lightly oiled bowl; cover. Let dough stand in a warm spot 20 minutes. 5. Fold dough to release gases. Cover, and let rise another 20 minutes. Repeat process one more time. Let rise another hour. Place dough in refrigerator; reserve overnight. 6. Heat an oven to 470 F with steam. 7. Divide dough into 400 gram pieces, and preshape into logs. Rest 15 minutes. Shape into short baguettes. Place on lightly floured couche; let rise 30 minutes. Score each baguette with lame or sharp pairing knife; bake until golden brown and crispy (about 25 minutes). FCI chef-instructor Tim Shaw shows Nate Berkus and his guest how to make pasta primavera (including the homemade pasta!) on The Nate Berkus Show. Click through for Chef Tim Shaw's recipe and photos from Nate Berkus's visit.